While their selfless work makes their love for the community visible, it is a matter of happy pride to the Houston community that our Spiritual Leaders of Houston were recently honored and highlighted among the “Jewels of Gujarat” – in a 2014 Silver Jubilee publication (by Maneesh Media) featuring 80 eminent Gujarati personalities selected from fourteen countries. Every Sunday, in two sessions, Sri Gaurang Uncle conducts satsangas for adults and parents of the Chinmaya Bala Vihar children. His discourses on a wide range of Vedantic texts, from the Bhagavad Gita to the Upanishads, encourage reflection and contemplation while catering to seekers at all levels of experience. He also guides many Study Groups on the other days of the week to make Vedanta applicable in daily life. With a deep sense of caring alongside a framework of discipline, Sri Gaurang Uncle can make an audience smile and think about many facets of both secular and spiritual life. He travels to various Chinmaya Mission locations in the US, Canada, and overseas to share the wisdom of Vedanta. 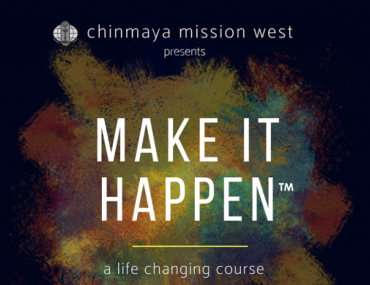 Known for his organizational skills, Gaurang Nanavaty is also a respected trustee of Chinmaya Viswavidyapeeth, an upcoming University for Sanskrit and Indic Traditions, the newest venture of Chinmaya Mission in India. He continues to serve as one of the Directors on the Chinmaya Mission West Board since 1982 when Pujya Gurudev appointed him. Smt. Darshana Aunty is the devoted co-leader of Chinmaya Mission Houston and the guiding force behind the Bala Vihar activities. Blessed by Gurudev and encouraged by the next global head of Chinmaya Mission, Swami Tejomayananda, Darshana Aunty has compiled the Bala Vihar series of curriculum textbooks for the benefit of all CM centers worldwide. They symbolize her tireless efforts to make the Hindu scriptures relevant to children of all ages, at all stages of their learning. One of her earlier books, “Bon Voyage,” illustrates and conveys the essence of spirituality in a simple and effective style to children. 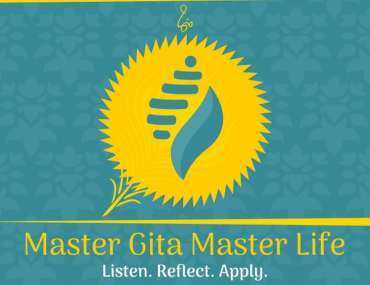 Another of her creative productions, a multimedia CD-ROM version of the Bhagavad Gita titled “Journey to the Truth” is a beautiful gateway to the timeless wisdom of the Gita. It features a captivating combination of art, animation, music, and narrative. Entertaining Bala Vihar plays like “Alphabet Connection” that showcase young talent and Vedantic themes highlight another hallmark of Acharya Smt. Darshanaben. Whatever the creative medium, her ability to teach with love and clarity attracts universal appeal. Recently posted as the new Brahmacharini, Brni. 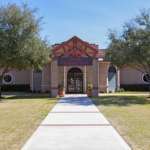 Shweta Chaitanya’s Vedantic journey began when she joined Balavihar in Chinmaya Mission Houston at the age of 6. As Aditi Deshmukh, she progressed steadily until she graduated in 2009. After her undergraduate degree from University of Texas, Austin, the continued inspiration of the teachings of Pujya Uncle, Pujya Aunty, and Balavihar teachers steered the young aspirant to the Vedanta course at Sandeepany Sadhanalaya, Mumbai, in August 2014. After being trained in great depth by Swami Bodhatmananda (the main Acharya of the Vedanta Course 2014-16) for two years, she returned to Columbia University in New York to finish her master’s degree. In August 2017, when Mukhya Swami Swaroopananda, the worldwide head of Chinmaya Mission, visited Houston, he gave the devoted disciple the blessing and deeksha to become Brahmacharini Shweta Chaitanya. 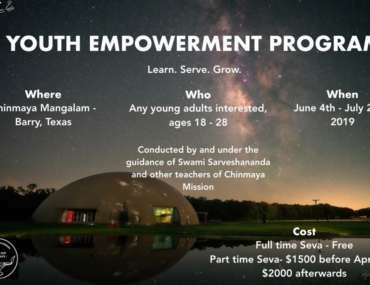 Posted now as a young teacher in CM Houston, Shwetaji actively spreads the message of the scriptures through the Sunday pravachans at Chinmaya Prabha and in study groups across the greater Houston area. The clarity of her knowledge along with her ability to appeal lovingly to varied audiences make her a cherished asset to the community which feels fortunate to have been part of her journey from the very beginning.